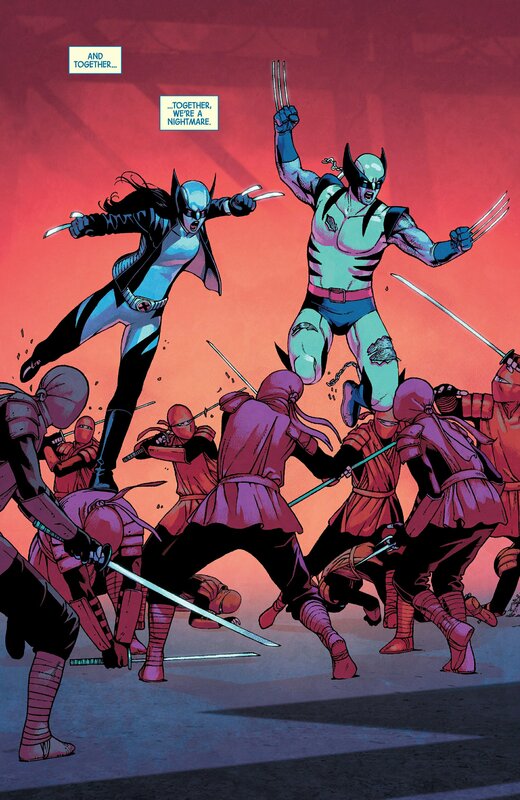 We definitely loved this week’s Generations: All-New Wolverine & Wolverine #1 Spoilers featuring Laura Kinney aka X-23 and the original Wolverine himself, Logan by writer Tom Taylor and artist Ramon Rosanas. 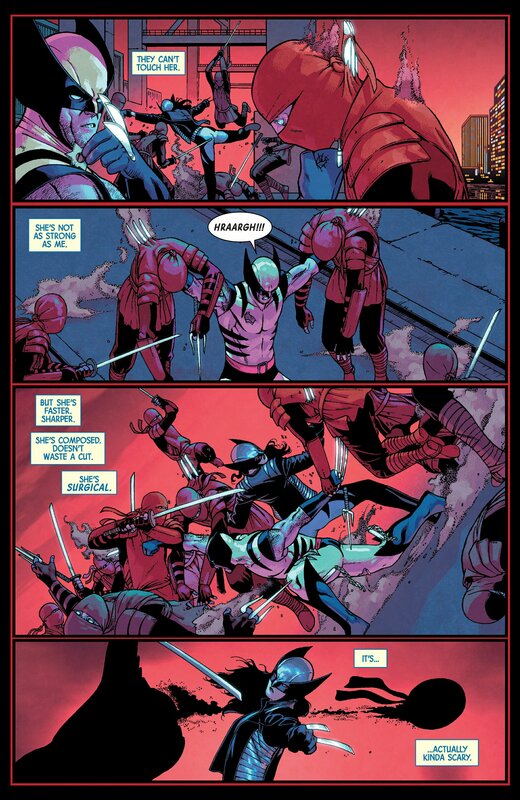 In this issue, we start with Wolverine going solo against a cadre of Hand ninjas. 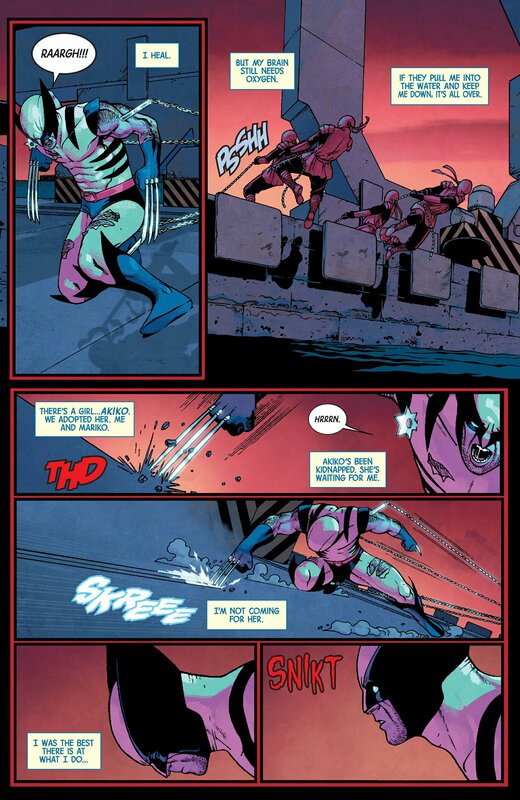 It’s typical Wolverine with his banter about being the best at what he does and what he does ain’t pretty. 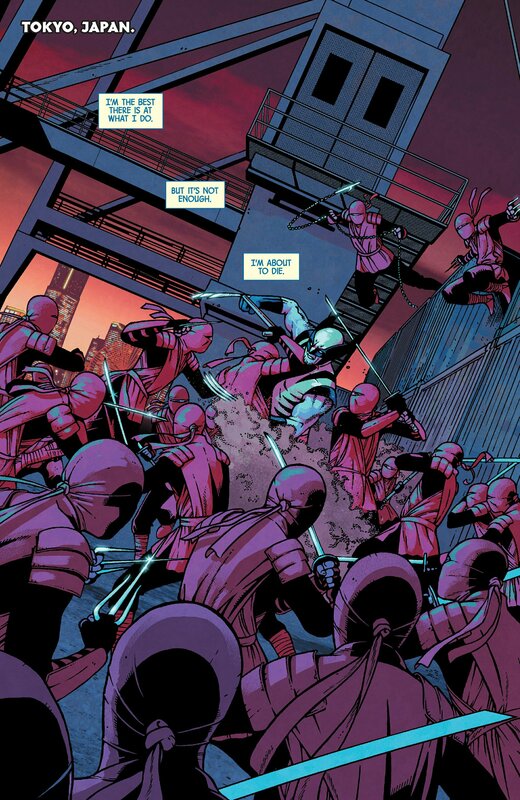 And the fact that he’s going to die if the ninjas successfully push him into the water. 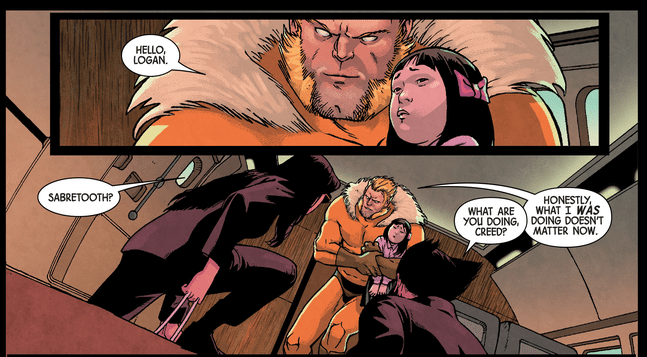 And just before he gets dragged down to the water, Laura Kinney aka X-23 makes an appearance and helps him out. That’s a scary thing to see. 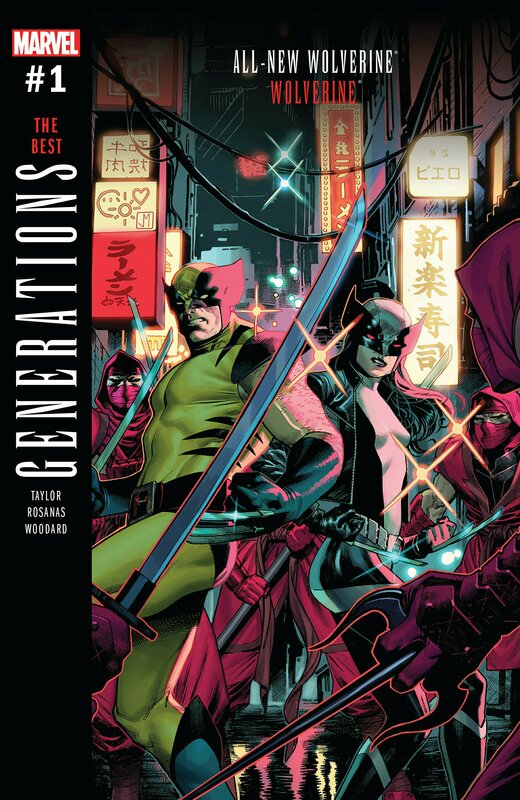 We find out in this Generations issue that Wolverine and Mariko’s adopted daughter Akiko has been kidnapped by the Hand and its the reason Logan flew halfway across the world to rescue her. It’s still not clear how Laura winded up in the past, but she knew that she had to help her old man. 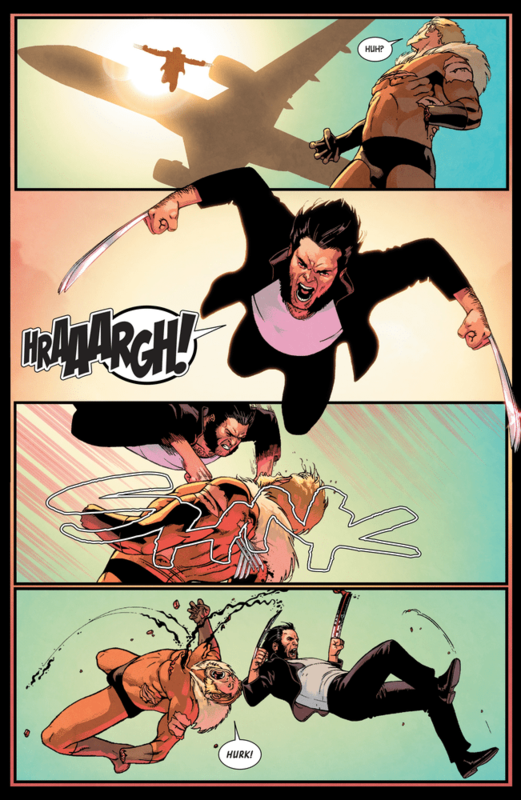 To stop Sabretooth from killing Akiko, X-23 decides to take out one of his hands and throw herself out of the plane. 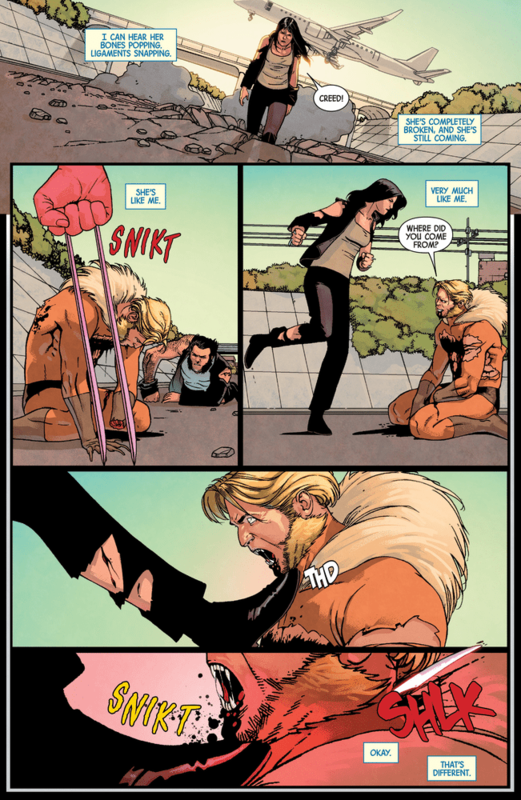 To fully incapacitate Sabretooth, X-23 delivers the “killing blow”. They return Akiko and Logan promises they’ll be alright the moment he leaves them. 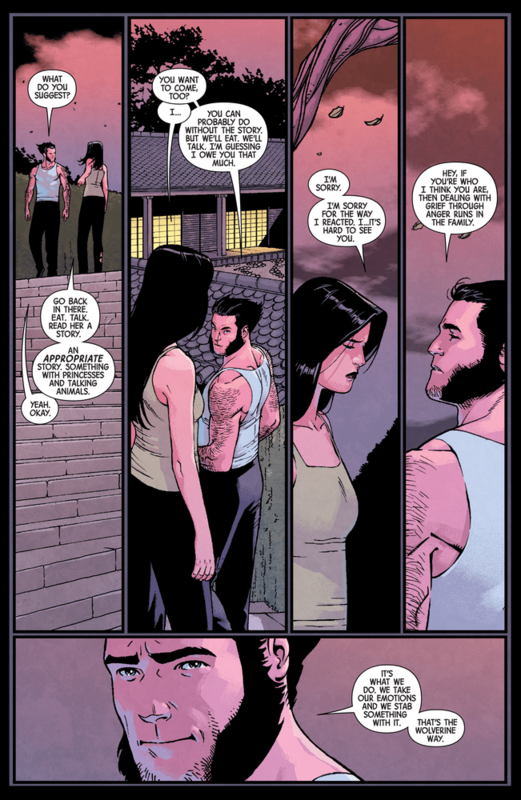 Laura chastises Wolverine for this decision and after a non-reveal, Logan decides to stay with his family for awhile. 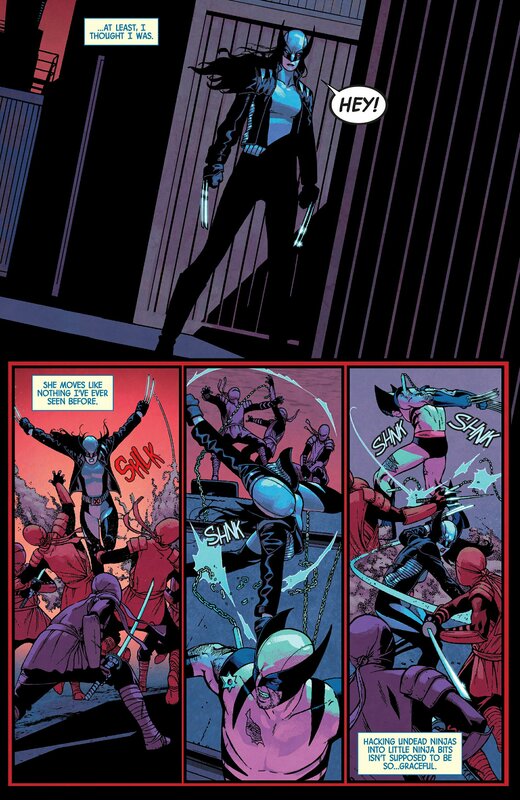 Laura gets invited to stay for dinner and before she can accept the invite, she slowly dissipates. The last thing she does is embrace her father and say that she misses him.